With one-fifth of its employees frequently traveling to serve customers all over the world, Tamarack Aerospace Group, a company that designs winglets and other aircraft efficiency technology, was looking for a solution that would allow their employees to work from any device, including only a mobile phone, wherever they were. As a small company with only 25 employees and one IT manager, they needed a solution that wouldn’t require too many resources to implement and manage. Through a unique partnership with Samsung, Ingram Micro, Amazon and RedNight, Tamarack piloted a comprehensive mobile cloud-based solution. First, Tamarack used Smart Switch to transfer data from their existing devices to the Samsung Galaxy Note8 devices equipped with the S Pen. RedNight then installed Amazon Web Services (AWS) so participating employees access their desktop environment from anywhere, on any device. 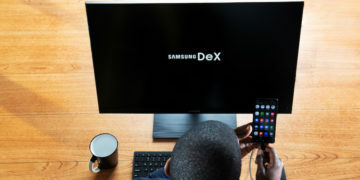 They were also able to use the Samsung DeX docking station, so they could leave their laptops behind and travel with only their mobile device as a computer. Tamarack employees, especially those switching from iOS devices to the Galaxy Note8, were able to do more work tasks on their devices. Founder and CEO Nicholas Guida noted he was four times more productive signing a large batch of documents, versus having to sign on his desktop. Employee productivity also increased, with the ability for employees to access their desktop environment from any device at any location. In addition, having AWS allowed the IT manager to quickly and remotely access and fix any device issues, without needing physical access. In the past, resolving issues required physical access to the device. Founded in 2010, Tamarack Aerospace Group is a small, innovative company that designs aircraft efficiency technology for business, commercial and military aircraft. Tamarack is best known for its revolutionary Active Winglets, which make aircrafts more cost-effective and safer to operate by providing three to four times the efficiency performance of traditional passive winglets. The technology also reduces fuel requirements, saving costs and lowering greenhouse gas emissions. Located in Sandpoint, Idaho, the company runs a lean operation with approximately 25 employees. Recently, Tamarack was awarded the Aviation Week 2018 Laureate Award for Business Aviation Technology. Collaboration is a necessary and critical component of Tamarack’s workflow processes, yet the company has struggled to find a way to collaborate easily. Operating two separate locations in Sandpoint, Idaho, as well as having almost a fifth of its employees on the road at any given time, means Tamarack employees are rarely in the same room. Everyone brings their own device, which means some employees are on iOS devices and some are on Android — so they don’t all have the same applications to collaborate on. Additionally, the company wasn’t using the cloud to allow employees to access their work environment from abroad. Instead, they had a typical client server environment with backend file servers, which limited their mobility from an infrastructure standpoint. For example, if employees were traveling and had an issue with their laptop or device, they would have to wait until they returned to have the issue resolved because the IT manager needed physical access to the device. Another pain point was having to drag around laptops on every trip to gain access to the company’s network. “I’ve been packing around a computer to access our mainframe when I’m away,” said Guida. He knew there must be a better, easier and more productive way to work. Even getting small tasks done, like signing off on a work order while traveling, could be challenging and create delays. Having previously worked on a Samsung Galaxy Note5 device, Guida wanted his team to experience the added productivity they could get by having a device with an S Pen — such as the Galaxy Note8 — which could make these sorts of tasks easier. He also wanted to bring over some of his key employees that were on iOS devices to the Android environment. “I wanted our folks to know what it’s like to use a mini computer on a mobile device,” said Guida. When Guida contacted Samsung about testing out some of its Note8 devices, he was offered the opportunity to pilot a mobile cloud-based solution. With the support of RedNight and Amazon Web Services, Tamarack was able to get even more value from their Samsung devices. Amazon Web Services, for instance, has given the company access to a consistent and standardized user experience — no matter what technology or device employees are using. Additionally, having the expertise of RedNight — a consulting firm that provides cloud support and other IT services — helped make the move to new devices and a new cloud environment seamless. 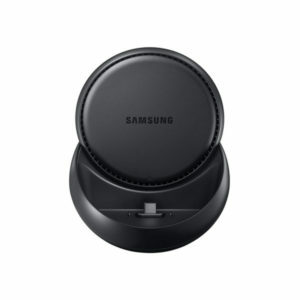 For those employees that were moving from an iOS device to the Note8, Samsung Smart Switch made the process simple. 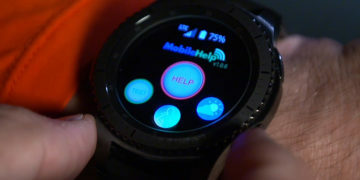 Jacob Klinginsmith, chief engineer at Tamarack and one of the iOS users to make the switch, commented that the process was simple and that within about 20 minutes all his data had been ported to his new device. He noted that the biggest plus of the Note8 for him was the S Pen. “I use that quite a bit for note-taking and making sketches.” He’s also used the Screen Write feature to write, talk and show people what he means. “The screen size on the Note8 is big and very clear, which makes this easy,” says Klinginsmith. 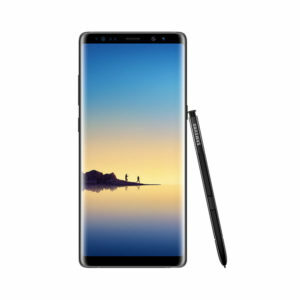 Finally, Klinginsmith says that the Note8 has provided more opportunities and options for apps and that the larger screen size has been very helpful for reading documents and being able to work on spreadsheets — an option he didn’t have before the switch. Built with a larger, 6.3-in. screen size and S Pen, so you can communicate in a whole new way. Guida backs up how much the S Pen has added to his own productivity. He says that recently he was able to complete the signing of 30 documents in a half hour. 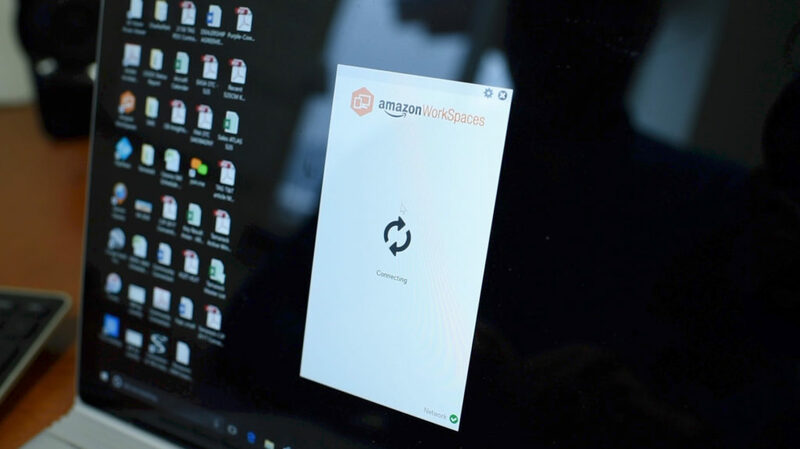 Wilson noted that even though only select employees had AWS, everyone at the company saw it and was able to gain some familiarity with that type of work environment. 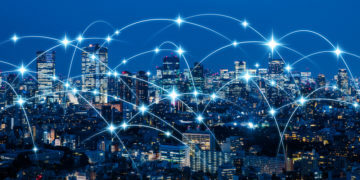 Wilson believes having this exposure will be helpful going forward when the company eventually makes a full transition to a cloud-based environment.